Below are common attributes associated to Coral Bark Japanese Maple. Become a care taker for Coral Bark Japanese Maple! Below are member comments regarding how to plant Coral Bark Japanese Maple. No comments have been posted regarding how to plant Coral Bark Japanese Maple. Be the first! Do you know how to plant Coral Bark Japanese Maple? Below are member comments regarding how to prune Coral Bark Japanese Maple. No comments have been posted regarding how to prune Coral Bark Japanese Maple. Be the first! 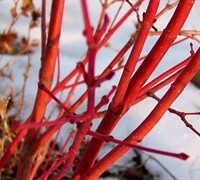 Do you know how to prune Coral Bark Japanese Maple? Below are member comments regarding how to fertilize Coral Bark Japanese Maple. No comments have been posted regarding how to fertilize Coral Bark Japanese Maple. Be the first! Do you know how to fertlize and water Coral Bark Japanese Maple? Below are member comments regarding how to deal with Coral Bark Japanese Maple's pests and problems. No comments have been posted regarding how to deal with Coral Bark Japanese Maple's pests and problems. Be the first! Do you know how to deal with pests and problems with Coral Bark Japanese Maple? Looking for Coral Bark Japanese Maple? Get Coral Bark Japanese Maple fresh and large directly from the grower to your garden! Buy Coral Bark Japanese Maple online from the nursery wholesalers and save BIG! Plant the the Coral Bark Japanese maple 'Sango Kaku' in sites that provide most any type of well-drained soil. Wet soggy soil around the roots is a killer. Sango Kaku can grow in a wide range of soil pH preferring a slightly acidic soil. Japanese maples stand out best when they are planted as a single specimen. Use them to accentuate an entryway or as a focal point to draw attention to a certain area of the landscape or home. Don't plant them too close to other trees or large shrubs that might overcrowd them in the future. Underplant them with low growing shrubs or groundcovers. For the coral color bark to stand out best, plant Sango Kaku in front of dark green shrubs or a dark or very light color wall or other background.